The city of Sarasota is found on the southwestern coast of Florida in Sarasota county. 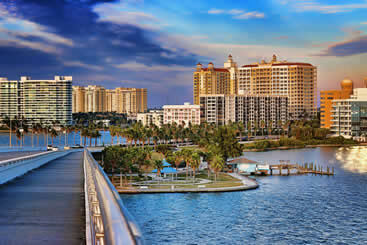 Sarasota is famously renowned for its beach parties, entertainment, water sports and more. This city is filled with great amenities for tourists such as resorts, hotels and beaches. If you are coming to visit the city for work or as a tourist there are numerous fun filled activities and great places that await you here in sunny Sarasota. Below are some places and activities that will help keep you busy and entertained when you visit this city. The city of Sarasota is a cultural core of the state of Florida. 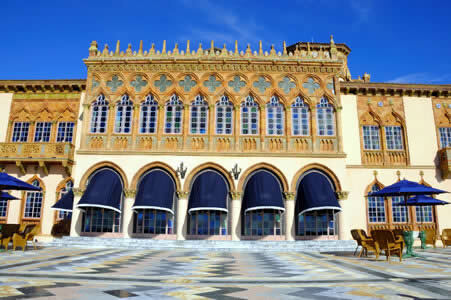 The Ringling Museum of Art depicts modern art as well as classic arts. Apart from its cultural ties, the city is known for the beautiful views it has on offer. Here, you will find a long beach line, water sports clubs, shopping malls, luxury hotels and resorts, and expensive restaurants serving delicious cuisines. Moreover, the cruise lifestyle of the place is famous all over the world as well. SRQ Airport is the main terminal in the area which serves not only the locals of the Sarasota but also the people of adjoining cities; like Bradenton and Venice. It is present only at a distance of 3-miles from the city downtown. The staff operating at the SRQ airport is respectable and processing speed is fast. Flights are seldom delayed here, which is why it is reliable options when it comes to traveling. The only downside of this airport is the absence of cheap parking rides. Parking is very expensive here. If you want to travel abroad then you should use a taxi or a shuttle service to reach here rather than driving your own car. The SRQ airport has a unique interior design with a huge aquarium installed inside the parameters of the airport. The bright lighting and spacious waiting area also add to the competency of the place. Here, you will find multiple airlines companies, having huge competition with each other. As a result, you can get tickets at very economical rates. The Sarasota-Bradenton International Airport is three miles north of downtown Sarasota, making it a moderately sized facility near a moderately sized metropolis. There is, however, a lot of traffic during certain hours, especially because flights often land in the peak hours of rush hour, forcing travelers to wait in long lines for rental vehicles or taxi services. Avoid having to wait in anymore lines by reserving your seat on one of our shared ride vans, getting to your hotel with your bags handled and your nerves relaxed. If your family is too big for an SUV and too small for a bus, ditch public transportation and pay the extra dollar for the simple luxury of comfort and being leaving on your own volition. Reserve a private van and witness the antiquities and modern pieces of art scattered around John and Mable Ringling Museum, a beautiful 1927 building that is one of the best facilities in the state. After you’re done admiring global treasures, see something amazing and local by checking out Lido Key, a beach just off of John Ringling Causeway. Go on an intimate walk through Marie Selby Botanical Garden, which is home to a gorgeous oasis along Sarasota’s bay, famous for its sunsets and exotic plants. Get there by parking on Sarasota Bay with your private sedan, courtesy of one of our Sarasota’s longest-running private transportation providers. After you’ve spent a good amount of time in the Gardens, go for a walk along Sarasota Bay where you can go fishing, see dolphins, and taste some local ice cream. The Sarasota Classic Car Museum is the perfect place for fathers, sons, and just about anyone else interested in the expansive and ever-growing history of cars. Take the whole family out for an informative tour by booking a private SUV as your choice of transportation – contact us for special deals as well as suggestions on what to see in the big city. Sarasota has restaurants from all over the world, making it almost too hard to choose from – so whether it’s the exotic Peruvian dishes of Selva or the New American fare at Michael’s On East, you’re in good hands, especially if one of our transportation companies is providing the transportation. Equipped with a chauffeur and elegant leather seats our stretched limousines are designed to make an entrance. Head out to other luxe social scenes like the Sarasota Yacht Club, a relaxing place that’s made perfect for holding business meetings or simply having a drink. Go on a grand trip to a grand location by reserving one of our signature chartered buses, taking the group out to the classic and rare Sarasota Opera House, a beautifully restored venue that’s happy to host large parties. 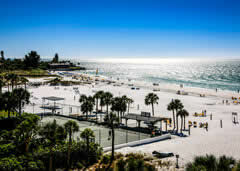 If the season is right and the day is fair, tae the group out to the fine white sand of Siesta Beach, a great place to stay cool, whether you want to read a book in the shade or take a dip into the crystal blue waters. This interesting, one-of-a-kind museum was opened back in the year 1931 and since then it has remained a popular tourist attraction in Sarasota ever since. The museum hosts some of the finest circus relics that your kids will find fascinating. Some other amazing things that they will see are the private Pullman train car of John Ringling, famed animal trainers, and acrobats. It was built in 1948 and was the very first museum that commemorated the American robust circus history. → The museum was built by John Ringling who started the Ringling Museum of Art along with his wife Mable. The museum originally featured works of art that Mr. Ringling had acquired during his travels looking for new acts for his circus. → Visiting the museum is also affordable which means a small amount of money lets you access historic artwork and learn more about the history of “The Greatest Show on Earth”. → If you are an art enthusiast or if you enjoy the circus then you should spare some of your time to visit the museum and experience it for yourself. 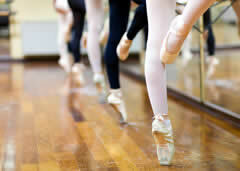 The Van Wezel Performing Arts Hall is situated at the beautiful Sarasota Bay. It usually hosts a number of thrilling plays and wonderful concerts at any given time. → The Van Wezel Performing Arts Hall was built in 1970 but was refurbished in 2000 and it continues to be a great entertainment stop for Sarasota residents and visitors to the city alike. → The good thing about the center is that you can see plays there that are designed for both adults and children so that you can come along with your children or you and your spouse can opt for an evening out. Sarasota Jungle Gardens remains one of the oldest open attractions that is still open in the city. The park is also home to a wide variety of interesting wildlife that you can view and interact with. 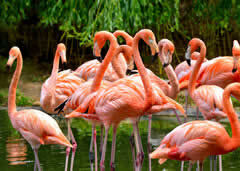 → Sarasota Jungle Gardens contains diverse plant life with over three thousand plant species. → Some of the plant species found in the park were introduced to the area but most of them are native to the area and exist there naturally. The beaches at siesta key are great beaches found in the Sarasota area that you will not want to leave the city without visiting. You won’t want to miss visiting the Siesta Key and have some fun by the seashore. → There are three beaches at Siesta Key, all of which have their own unique style. You can choose from Siesta Beach, Crescent Beach or Turtle Beach. Any of the three will make for an amazing day. → Siesta Key features crystal clear water, white powdery sand and lots of activities such as fishing, boating, surfing and more.